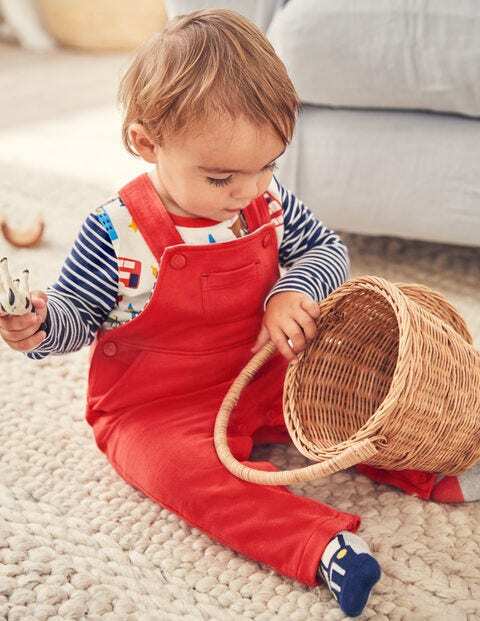 Made from soft and stretchy jersey, these dungarees are all set for level-10 tickling. Double poppers on the straps mean they can grow as baby does and there are more along the inside legs for happy nappy changes. The top – which can be worn separately for versatility – is covered in an adorable bus, plane and car print.